This your chance to host your very own company competition at your event, so get your dancing shoes ready because today we are going to be putting the sparkle back in your corporate event! Colourful, team focused and full of energy our Simply Team Dancing event is a wonderful unique way to entertain your guests. 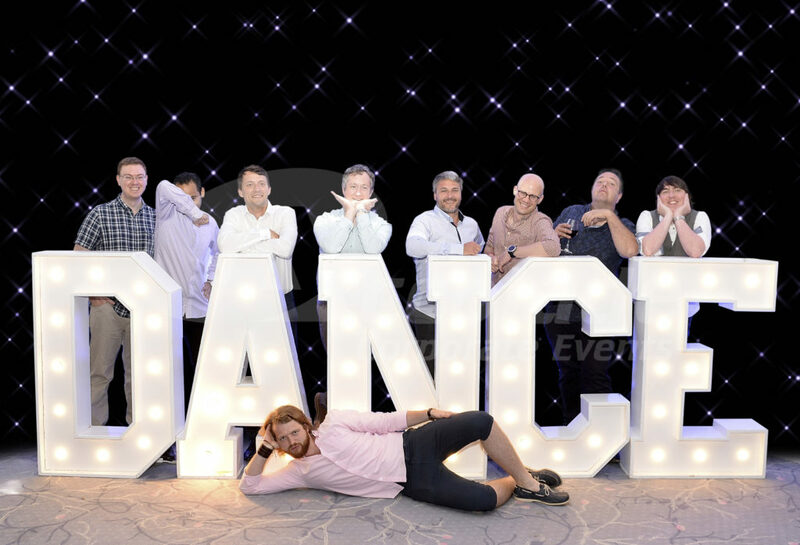 Our team of experienced West End dance professionals will guide your guests and take them on a journey starting as complete novices to finishing as a in step team of dancers. We can take any person no matter how uncoordinated they think they are and make them an integral part of the dance group which leaves them not only with an enormous feeling of self achievement but of team spirit. Learn the routines in the daytime and host the competition in the evening, a perfect finale to the perfect team event! We take each team and let them show off their new dancing skills, in this fabulously uplifting and fun Simply Team Dancing competition. Your show will be hosted by our professional MC and a live band will provide the music for your teams to dance to. Our professional dancers become the judges with their score cards ready and deliver their verdicts. Want to find out more about Simply Team Dancing? Why not call our events team on 0800 083 1172 and we’ll answer all of your questions. We think you’d love our Company’s Got Talent event, so why not take a look? Simply Team Dancing is inspired by but not associated or endorsed by the BBC’s Strictly Come Dancing Show in any way.